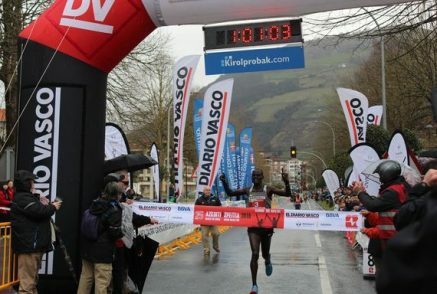 24th March 2018 – Mark Kiptoo (KEN) continues to show that age is just a number as he won the Azkoitia-Azpeitia half marathon in Spain. Mark first broke 13 minutes for 5000m back in 2009 and won the Commonwealth Bronze medal over the same distance a year later. Arguably though this was his most impressive performance to date as at 41 years and 275 days of age Mark set a new World Masters Record for the half marathon distance by clocking 61 minutes and 4 seconds to take 6 seconds off the previous record held by Haile Gebrselassie. This was also Mark’s second victory at this race having previously won in 2013. Mark will next race at the Paris Marathon in 2 weeks time. Having had surgery on an injury just after the new year Emmanuel Bett finished in ninth position in his first race back.